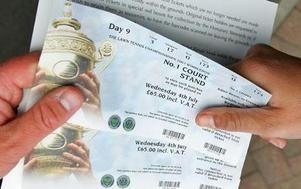 As part of our affiliation to the LTA, Rainford Tennis Club have received 17 pairs of tickets for our members to watch the 2011 Championships at Wimbledon. We received the tickets for our members to purchase as a result of the number of British Tennis Members at the Club. Being entered into the ballot to purchase a pair of tickets is one of the many benefits of joining Rainford Tennis Club. We hope all of our members who were lucky enough to come out of the ballot enjoy the tennis they will see on Centre Court, No.1 Court and Courts 2 and 3 during the Wimbledon fortnight. Find out more about joining Rainford Tennis Club.